Location: Bullet Safaris is an American owned company in South Africa. We conduct custom designed Hunting Safaris as well as Photographic/Touring Safaris throughout the African Continent. We operate in Tanzania, Mozambique, Zimbabwe and South Africa on exclusive government concessions and privately held properties. 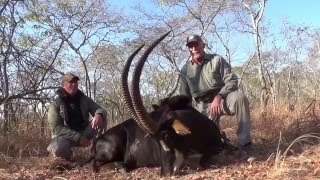 About your host at Bullet Safaris South Africa: Nathan Askew, Professional Hunter. and Owner. Bullet Safaris was born as a way to offer customized Safari Adventures to American friends and eventually clients worldwide. You will struggle to find a harder working and more experience American Professional Hunter than Nathan Askew. Nathan is a full time professional hunter living in Africa for half of the year operating in different countries, then spending the remaining time outfitting in the USA or assisting on other hunts around the world. ­­­­­­Hunting experience at Bullet Safaris South Africa: Bullet Safaris offers all types of African hunting safaris and tours throughout Africa. We specialize in dangerous game hunts and have exclusive concessions in Tanzania, Mozambique, Botswana, and South Africa. Our hunts are custom designed. You will have the opportunity to take a variety of plains game animals on your dangerous game hunts as well. There are many species of plains game to hunt, and it can take many safaris to different regions to hunt all of them. They range from the boot sized Blue Duiker to the 2,500 pound Eland. Some are herd animals and some are more solitary. The hunting is mostly spot and stalk or tracking. The amount of species, differing habitats, and geographical ranges can keep a dedicated hunter busy for a lifetime. With the plains game animals, the horns and skins come in all shapes, colors, and styles. Click here for quick link country guide. To select and book the top suggested hotels and accommodation in the area when hunting at Bullet Safaris South Africa, click here. by car or public transport to Bullet Safaris South Africa.